Being arrested can be one of the scariest times of a person’s life, and many people have no idea what to do. If you find yourself in this situation, it is important to remember that you have important constitutional and other legal rights that you can and should enforce. To preserve these rights, you need to be aware of 10 things that you should not do in your criminal case. What Are 10 Important Things That You Do Not Want to Do If You Are Arrested? Talking to the police. If you are arrested, the police must read you your Miranda rights, which includes advising you of your right to remain silent. Even as a suspect, you have no duty to talk to the police and should exercise the right to remain silent. If you do not, you could inadvertently say something that is incriminating. This is true even if you are innocent and have nothing to hide. Running away. No matter how tempted you are, do not run away from the police. It could jeopardize your life and result in facing additional charges that may be more serious than the initial charges. Resisting arrest. Like running away, resisting arrest is something that you never should do. You should fully cooperate and make no threatening actions—even little ones—when being arrested. Otherwise, the situation could escalate into a life-threatening one or you could face felony charges. Letting police in your house. If the police come to your door, do not voluntarily let them in unless they have a search warrant. You also do not need to step outside. By inviting the officers in or stepping outside, you may be giving them the opportunity to arrest you without a warrant. While they are going to get a warrant, you should contact an experienced criminal defense attorney immediately for help. Believing the police. If you are being charged with committing a crime, you cannot believe what the police tell you. They are trained to try to obtain incriminating information from you. Assert your right to remain silent and to have your attorney present when speaking to the police. Consenting to be searched. You should not consent to a search of your home, car, or yourself without a valid search warrant. You should vocalize that you are not consenting loud enough so that bystanders can hear. If the police conduct an illegal search, the evidence against you may not be admissible. Looking at things you do not want to be seen. If the police are searching pursuant to a valid search warrant, you do not want to look at things or places where you do not want them to search. They will watch for behaviors that will help find evidence. Instead, try to look down and not pay attention to what they are doing. Accepting an offer to go home. If you are arrested outside your home, do not accept an offer from the police to return to your home. They are not doing this as a favor to you. The authorities are often looking for a way to locate evidence against you without a warrant. Panicking. While it may be hard not to panic, you need to take some deep breaths and remain as calm as possible. When you panic, mistakes can be made or you may say things that will later hurt your case. Representing yourself. One of the most important things that you do not want to do is to plead guilty or try to negotiate a plea agreement on your own. 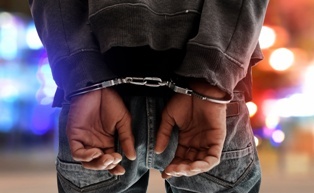 Even if you are guilty of the crime that you were arrested for, you could have important constitutional, procedural, and other defenses to the charges that you face. You need to retain an experienced criminal defense attorney as soon as possible if you are arrested. If you have been charged with committing a crime, the experienced criminal defense attorneys at Browning & Long are here to help you build a strong defense to the charges that you face. Call our office today to schedule your free consultation.